Spider-Man, pondering a world without his creator. Photo by James Coreas. The 94-year-old Marvel mastermind will make one last stop at the Dallas comic book convention this spring. 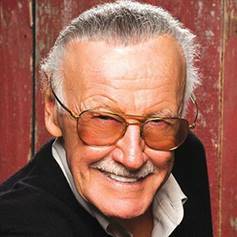 You can ponder the fact that death comes for us all, or, more happily, consider the mighty legacy of a man who has created so many immortal men — Spider, Iron, and X — when you ask Lee for his autograph at the convention, which returns March 31 to the Kay Bailey Hutchison Convention Center in downtown Dallas. Lee joins a celebrity lineup that so far already includes the great Tim Curry, and a non-celebrity guestlist that will feature at least a dozen costumed Deadpools and three times as many Harley Quinns. We are big fans of all of the above. Fan Expo Dallas is March 31 through April 2. Go here for more info and tickets.